What can be said about Judy Ketchen? As far as her part in the Grand Harmony Chorus is concerned, she was everything. She was one of a handful of ladies who started this chapter and was a driving force in making sure that it not only survived but thrived. When the chapter started, she became its first president, and even took on directing duties in its fledgling days. Throughout the years, Judy would end up holding every major office in the chapter. You could say that she was the mother of this chapter. Judy was passionate about the presentation of the music and was involved with planning and coaching the chorus' choreography throughout her barbershop career. She was also an excellent baritone singer and an avid quartetter. With her quartet A Touch of Class, she medalled three times at Region contests, including a 5th place finish in 2015. We are all saddened by the loss of this pioneer in our chapter. She was a friend to all of us and will be missed deeply. To honour her and her love of barbershop and music education, a memorial fund has been set up in Judy's name through Sing Canada Harmony. The criteria is to "provide funds to enable one or more members of Region 2 of Sweet Adelines residing in Ontario to attend classes in music or choreography sponsored by Sweet Adelines International that they could not otherwise afford". To donate to this fund, you can go to the Sing Canada Harmony donations site at singcanadaharmony.ca/donate-now/. Anyone donating $20 or more will automatically receive a tax receipt. Indicate on the form that the donation is "in memory of Judy Ketchen" for it to be directed toward the proper fund. KETCHEN, Judy Peacefully surrounded by her family at her residence in Cambridge on Thursday, December 8, 2016 at 56 years of age. Beloved wife of Mark. Loving mother of Kelly, Jeremy and Jackie. Dear daughter of Al and Helen Davis. Loving sister of Lynn Fitch (Richard) of Virginia and Karin Davis. Dear daughter-in-law of Ken and Donna Ketchen. Beloved sister-in-law of Stephen and Jan Ketchen and Sandra Ketchen (Calvin Reaume). Will be sadly missed by nieces Rebecca and Natalie Reaume. Judy's three passions were her family, teaching and her music. She loved singing with the Kitchener Waterloo Grand Harmony Chorus. 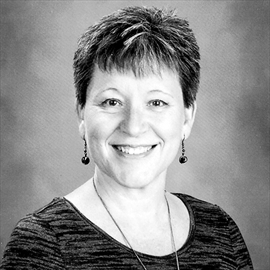 Judy was a teacher with the Waterloo School Board for the past 15 years. Family will receive guests at Lounsbury Funeral Home, 1766 Franklin Boulevard, Cambridge, on Friday, December 16, 2016 from 2-4 p.m. and 7-9 p.m. Celebration of life will take place at Saint Luke's United Church, 1620 Franklin Boulevard, Cambridge on Saturday, December 17, 2016 at 11 a.m. As an expression of sympathy, donations made to the Canadian Cancer Society or the Cambridge Humane Society would be greatly appreciated by the family.